DreamHack’s next stop is in Marseille, France where 16 CSGO teams will do their best to grab a piece of the fantastic $250,000 prize pool. The event will take place on April 18th to April 22nd. 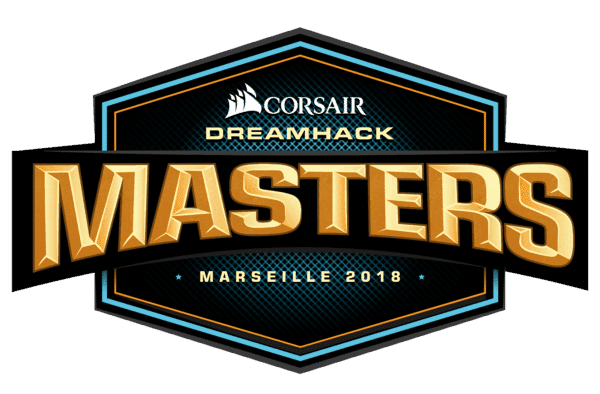 Follow this DreamHack Masters Marseille 2018 betting guide to get the highest odds, top-ranked sportsbooks and we also take a closer look at the favourites to win the title. DreamHack Masters Marseille 2018 is two weeks away, but there’s already lots of odds available at our recommended betting sites. As giants such as SK Gaming and Astralis have been going through a rough time lately the outcome of this tournament is more uncertain than ever. Because of the uncertainty, we’re now left with a bunch of teams that are very much in it to bring home the victory in Marseille. Besides Astralis, FaZe and SK we’ve seen teams like fnatic and mousesports bringing home trophies by pulling off huge wins against top contenders. A team that is on a roll is definitely mousesports, who managed to win both StarSeries i-League Season 4 and V4 Future Sports Festival. If you believe that they can keep up their current form and also bring home the DH Masters Marseille 2018 trophy you can win up to 7.00 times your money. Whenever a DH Masters tournament is played, you can count on at least 5 teams out of the top 10 of HLTV’s world rankings to attend. A whopping $250,000 is at stake and the competition is super tough. Below you’ll find a preview of the top contenders at DH Masters Marseille. Remember that the odds can change at any point. Visit the betting sites to see current odds. Betting sites seem to keep believing in the power of SK, despite losing numerous tournament the last couple of months. And in addition to failing at events lately, they have also recently acquired the former Cloud9 player Stewie2k. So they will attend DH Masters Marseille with a new line-up, which either can be a huge success due to the surprise factor or that they will fail miserably because of limited practice. Astralis is another team that is known for winning tournaments, but they have been having a hard time and have also made changes to the team. They got rid of Kjaerbye and filled the spot with the talented rifler Emil ”Magisk” Reif. They need to go far in this tournament if they want to stay among the top five teams in the world, according to the HLTV rankings. We’re excited to see whether we’ll see an Astralis in shape in Marseille, we strongly believe that they can get back to being a contender to win tournaments again. Many thought that FaZe was pulling off an April’s fool joke when they announced that their star player Olofmeister was taking a break and the one to replace him was Xizt, the long going member of NiP. Turns out it was all true, which means FaZe now consists of karrigan, Xizt, GuardiaN, NiKo and rain for the time being. They currently rank as the best team in the world, although they haven’t really been able to show if they can deliver without Olofmeister.